The Integrated Deepwater System (IDS) Program will upgrade or replace the capabilities of existing assets in order to maximize operational effectiveness and minimize total ownership costs associated with the performance of all "Deepwater" missions. This system of systems acquisition is unique in its breadth among all government acquisitions in that it includes surface assets, aircraft, C4ISR (Command, Control, Communications, Computers, Intelligence, Surveillance and Reconnaissance) and logistics capabilities. 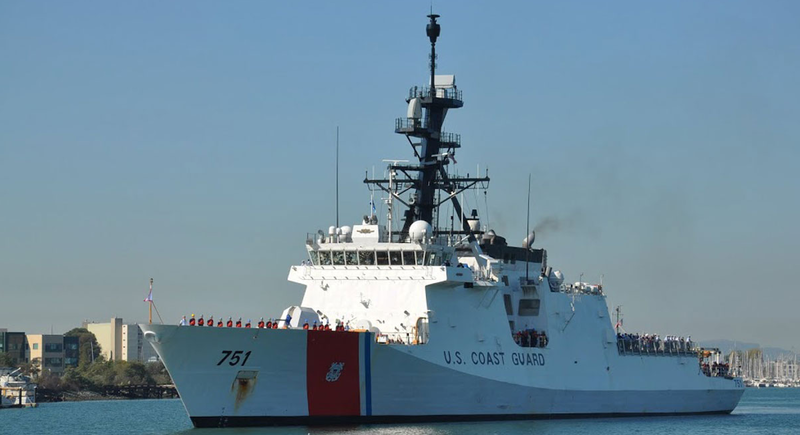 Coast Guard Command & Control (CG-C2) system provides the Coast Guard a common operating picture to aid coordination among helicopters, aircraft, other ships and shore facilities. The system facilitates interoperability with the forces and agencies of the Department of Homeland Security, the Department of Defense, and 117 federal and regional agencies and organizations. AS&T engineers have been heavily involved in the preparation, management, coordination, scheduling, and performance of many software and hardware installations at US Government facilities, USN/USCG ships, and contractor facilities throughout the world. Each installation is typically divided into phases: Pre-install activities, Installation, Test & Verification, Training, and Follow-on Support. AS&T supported and/or lead over 75 installations that ranged from small software asset upgrades on existing hardware to full scale new lab facility planning/installations of new tactical computer configurations used for development or training on combat systems. For over 25 years AS&T has been providing verification and validation (V&V) test engineering (T&E) support to LM on the Aegis, USCG, and FAA programs. Our engineers support C4ISR system testing of the complex Aegis Combat system across all US, FMS, BMD, and Aegis Ashore baselines. Our engineers support and lead many official on-asset test events, including acting as the Test Director on board USN and FMS assets during many live firing/intercept tests, CSSQT, Coordinated Multi-Asset Ship Test Events using Link, Cooperative Engagement Capability, Tactical Data Links, and large distributed events via a secure networks linking multiple test LANs throughout the world.